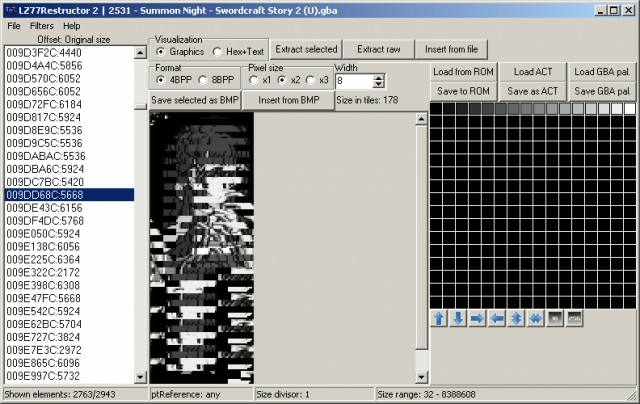 Can search for GBA LZ compression (the DS shares some compression with the GBA as well) and insert with compression. Options restrict search by those with pointers, those size and division among other things. Abilities in both text (which can use a custom table) and graphics (4bpp and 8bpp GBA).